Reinforce Standard Chemistry Knowledge while Introducing Particle Physics. The Anatomy of an Atom Poster links chemistry topics presented in an introductory high school class with information from the standard model for particle physics in a clear, understandable way. It is designed to broaden the view of atoms presented in chemistry and show that the complexities of their internal structure offers a new view on the structure of matter. 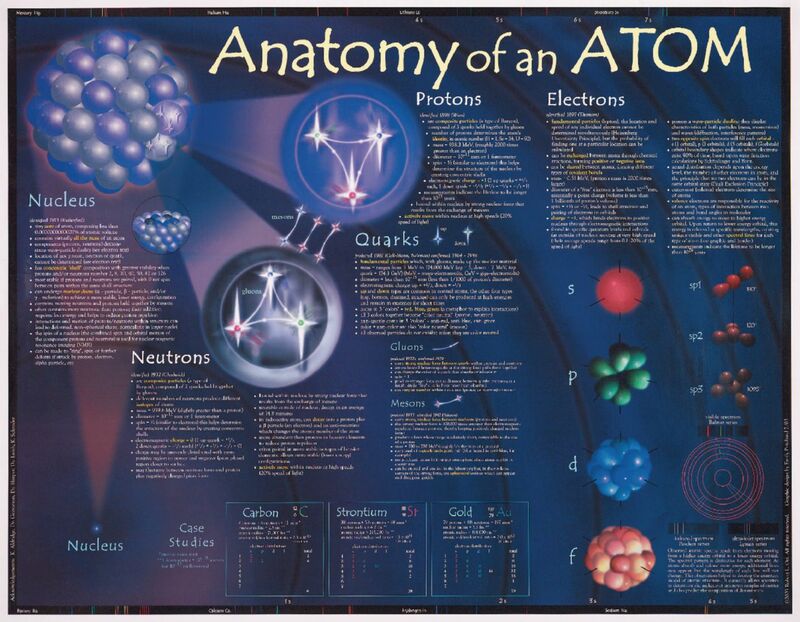 There are many recognizable features within the poster, including electrons, protons, and neutrons, along with additional details on their behavior, life span, and composition. Additionally, the forces and exchange particles that hold nuclei together are introduced in a clear manner. Designed by Rob Orr, a biology, chemistry, and physics teacher with over 20 years of experience.